How to single crochet will have you on your way to making items from simple granny squares to beautiful bridal bouquets. 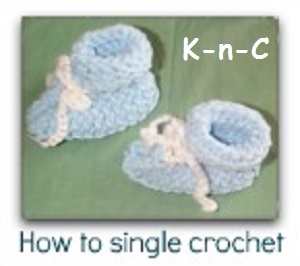 I will show you how to single crochet with written instructions, photos and diagrams. 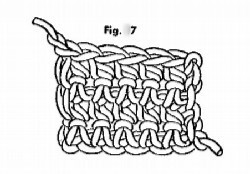 In crochet there are two main stitches, one being the single crochet (sc) and the other is the double crochet (dc). 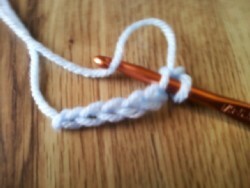 Once you learn the basics you will be able to crochet anything. All other stitches are variations of these two. 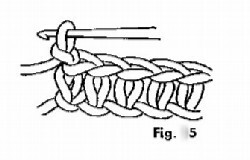 Here you will learn the single chain stitch (ch st) that will be the foundation of all items you make crocheting. 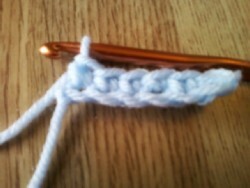 You can find this information here in the Crochet Stitch Guide. 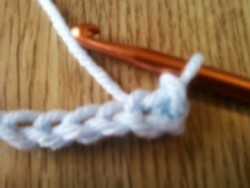 Make a foundation chain of 20 stitches for a practice piece. 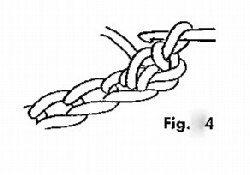 1 - To begin row, insert hook from the front under the two threads of second chain (ch) from hook. 5 - Repeat until you have made a sc in every chain (ch). 2 - Repeat steps 2,3,4,5,6 and 7 in directions for first row. 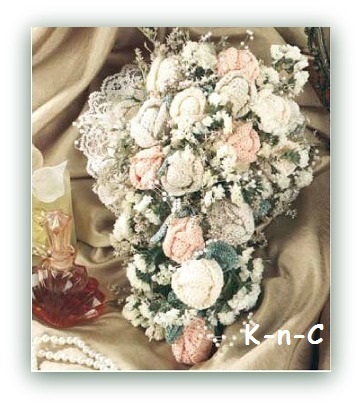 3 - Now you have completed your practice piece in sc. 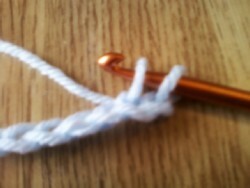 In all crochet it is customary to pick up the two top threads of every stitch as you work, unless otherwise specified. 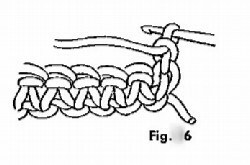 When only the back stitch is picked up, a different effect is produced, known as Rib Stitch. 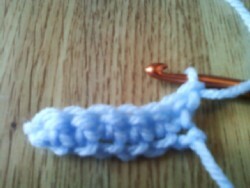 We will have more about crochet stitches as we teach you the double crochet stitch next.